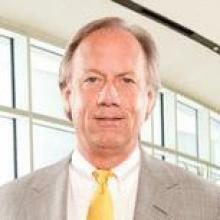 Richard H. Middleton, Jr., is the owner and senior trial attorney in The Middleton Firm, LLC which is based in Savannah, Georgia. Middleton’s practice has spanned more than 30 years, primarily devoted to the representation of individuals who have been harmed and damaged by the most powerful corporate interests throughout the United States. Early in his career, Middleton devoted a substantial amount of his time to representing individuals who were stricken with many asbestos-related diseases. As a result, he was associated by counsel to assist in asbestos cases in more than 40 states. His firm concluded more than 5,000 of these cases during his tenure in that litigation. As a result of Middleton’s mass tort and class action practice, he was invited by Bobby Kennedy, Jr. to join Charlie Speer and other concerned trial lawyers from throughout the United States in attempting to change the practices of the industrial agricultural industry. He has been successful in trials against the largest pork producers in both Nebraska and Missouri and continues to pursue justice on behalf of neighbors of animal factories throughout the Unites States. Middleton continues to represent those who have been adversely affected by animal factories to restore less brutal and less abusive animal husbandry strategies on the land throughout this country. Nationally recognized in civil trial practice, Middleton has instructed lawyers in trial practice in 48 states and 5 foreign countries, has testified before Congress on five occasions, and has been a guest on national network and cable television shows including MSNBC’s Hardball, C-Span’s Washington Journal and HBO’s Debate/Debate.